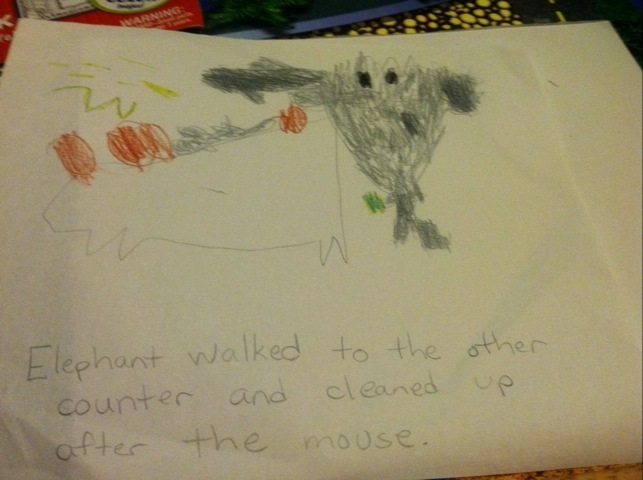 Elephant walked to the other counter and cleaned up after the mouse. If you’ve read much of my blog, you know my kids & I follow a special diet. We eat organic & homemade, without grains, starches or complex sugars. The Specific Carbohydrate Diet has no processed food of any kind on it- no “deli” items come to mind that need be in our fridge- & good thing. Currently our deli drawer is housing about $25,000.00 worth of medication. 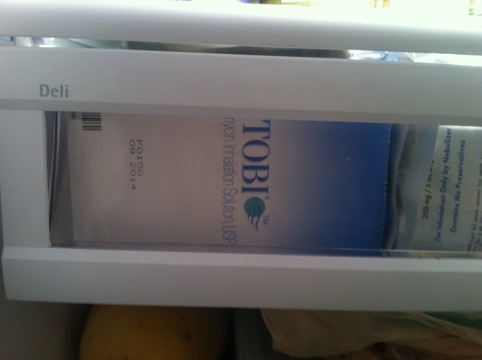 The twins new regimen for inhaled (nebulized) medications includes Tobramycin. TOBI is a string antibiotic that kills the types of bacteria kids with trachs tend to grow out regularly, and occasionally in large enough populations to cause actual illness. Our pulmonologist wants to be pro-active & avoid these infections for the twins while we work to avoid other viral illnesses that might land us in the hospital again this winter. Yay for proactive healthcare & yay insurance. What’s in your deli drawer? 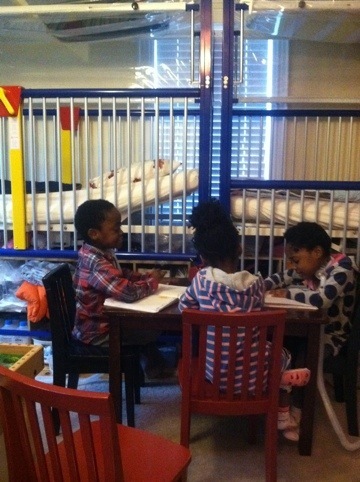 The Fearsome 3some compares notes while working on their journals. A friend writes beautiful, thoughtful blog posts as she navigates the world each day this side of nearly unspeakable loss. The other day’s post was written about 13 qualities of a spiritual life. I think my definition of “spiritual” is more about general connectedness to what is beyond ourselves, but her list of qualities got me thinking & responding. My only response to this: no one. I would call no one. I would wake all my kids, take out all their favorite foods, sweets for Trachgirl- & not make Trachboy eat. I would wake them & turn on music & dance with them, sing with them, and read to them – & jump on the furniture with them (an especially big dream for my Youngest). I would want to expire in their tired arms’ embraces, listening to their laughter, seeing their smiles. Them, all 4 together. That’s all.